Conor Lynch is a talented young wood turner & budding entrepreneur based in Killeagh, co. Offaly. 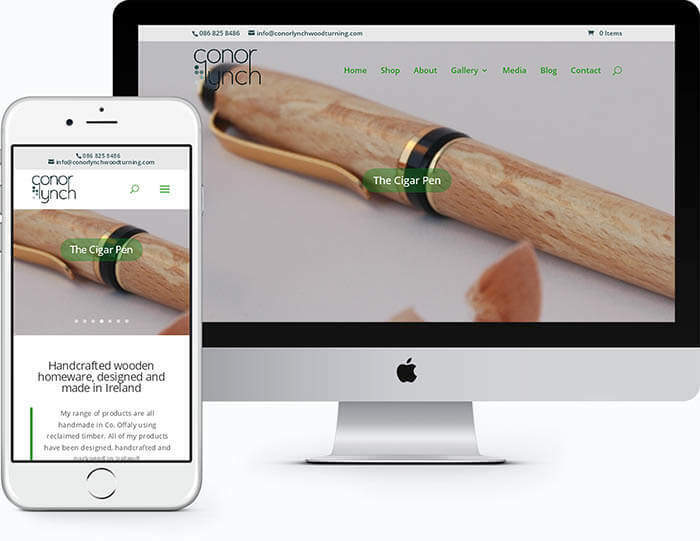 It is a fairly simple web design which focuses on Conor & his work. There is an online shopping facility to order and pay for his products online. The shopping cart was designed with Woocommerce and the online payment facility uses Stripe which allows the processing of credit card data in a way that is compliant with Payment Card Industry standards.